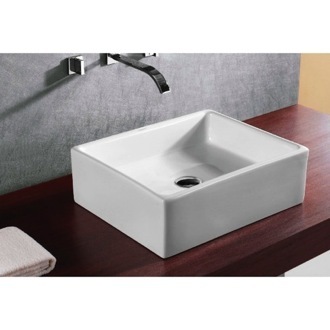 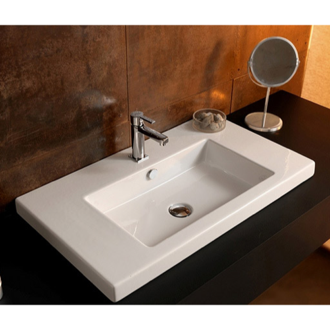 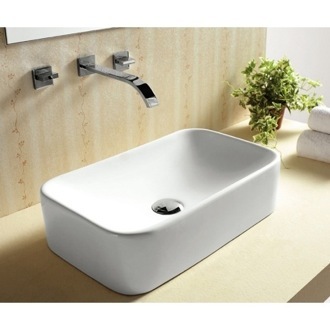 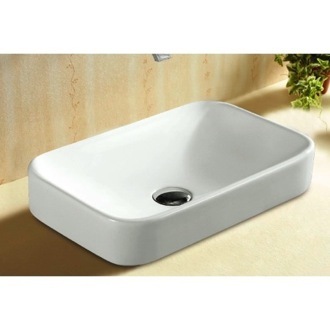 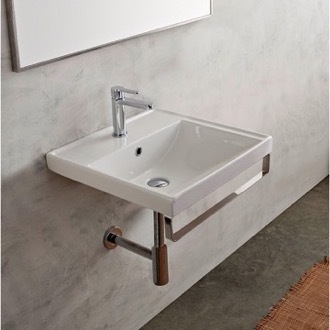 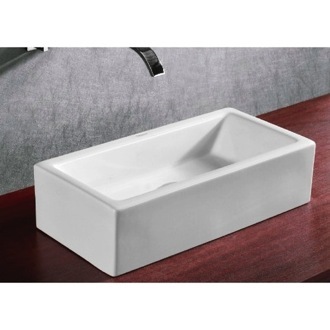 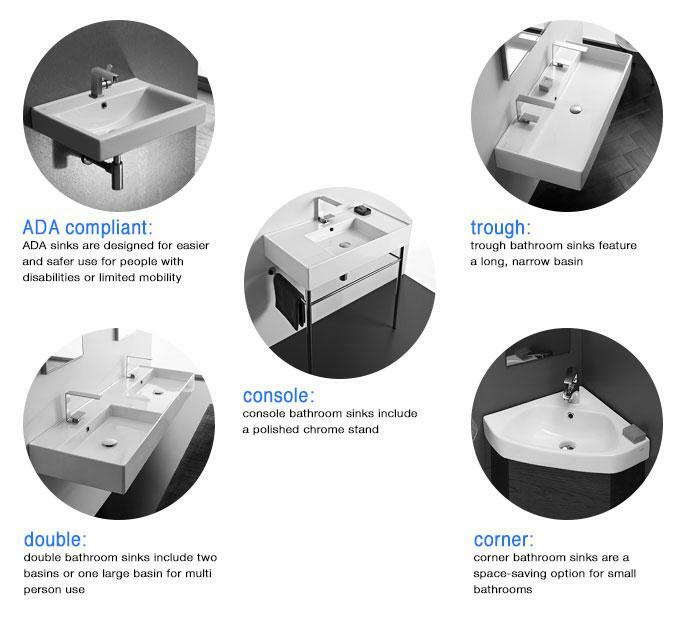 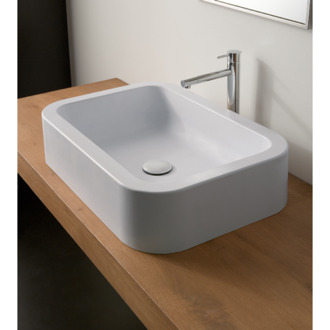 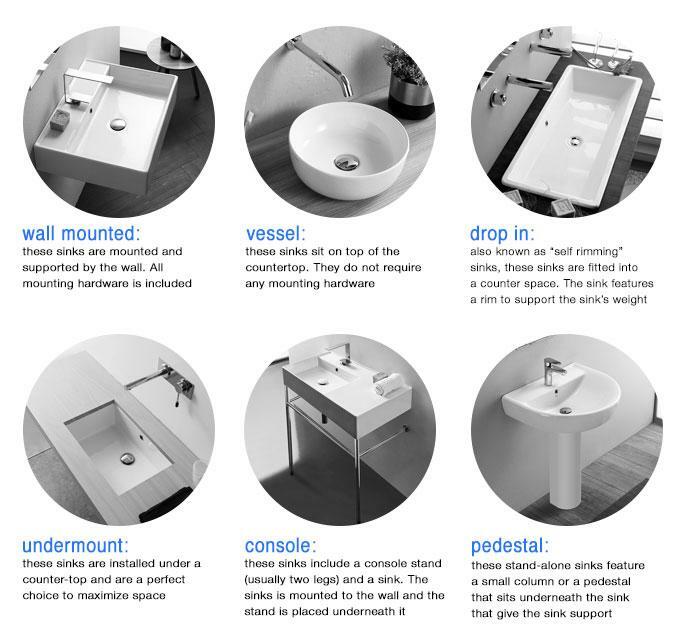 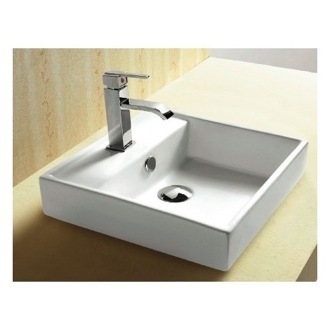 Shop our selection of square bathroom sinks and get FREE shipping on all orders over $99! 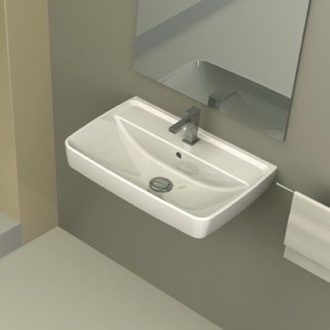 Specs: Length: 20.1" Width: 17.8" Height: 6.3"
Specs: Length: 17.7" Width: 17.7" Height: 6.7"
Specs: Length: 24.2" Width: 18.5" Height: 6.5"
Specs: Length: 18.5" Width: 18.5" Height: 6.3"
Specs: Length: 18.43" Width: 14.57" Height: 5.9"
Specs: Length: 15.35" Width: 15.35" Height: 5.51"
Specs: Length: 16.1" Width: 9.1" Height: 5.5"
Specs: Length: 16.34" Width: 16.34" Height: 3.35"
Specs: Length: 31.5" Width: 17.72" Height: 5.51"
Specs: Length: 22.1" Width: 15.6" Height: 5.5"
Specs: Length: 23.6" Width: 15.7" Height: 5.5"
Specs: Length: 16.5" Width: 9.44" Height: 4.3"
Specs: Length: 14.75" Width: 15.25" Height: 5.95"
Specs: Length: 20.08" Width: 14.17" Height: 6.1"
Specs: Length: 32.28" Width: 19.69" Height: 8.27"
Specs: Length: 21.5" Width: 14.1" Height: 6.3"
Specs: Length: 19.7" Width: 15.4" Height: 5.9"
Specs: Length: 19.7" Width: 15.4" Height: 6.5"
Specs: Length: 18.9" Width: 18.9" Height: 6.3"
Specs: Length: 20.08" Width: 12.2" Height: 5.51"
Specs: Length: 22.62" Width: 16" Height: 3.54"
Specs: Length: 23.6" Width: 16" Height: 4.3"
Give your bathroom an unexpected bit of design flair with a square bathroom sink. 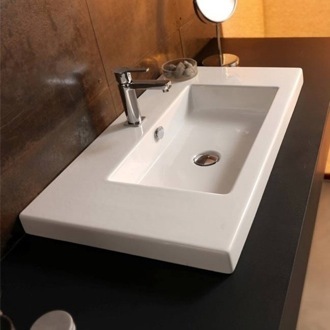 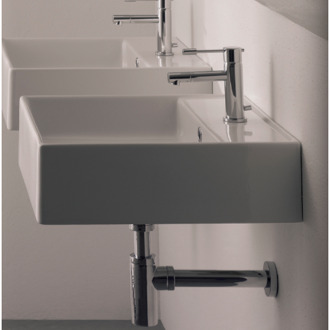 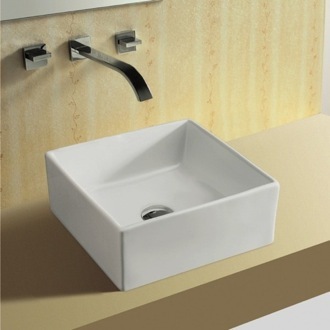 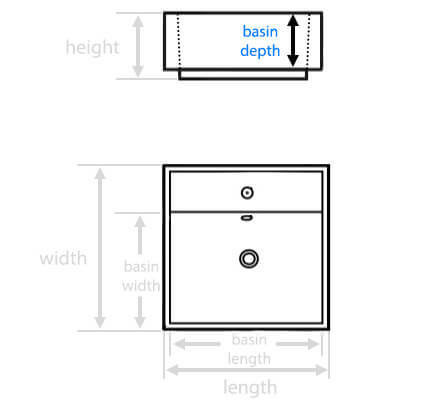 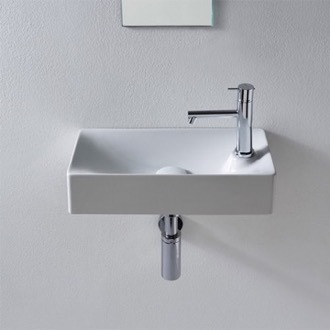 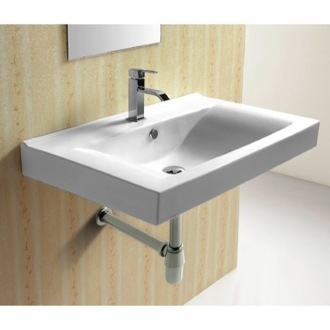 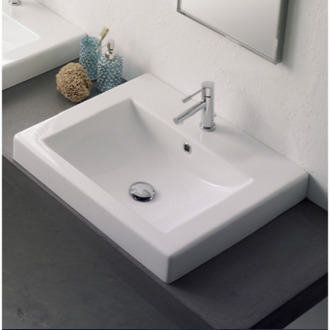 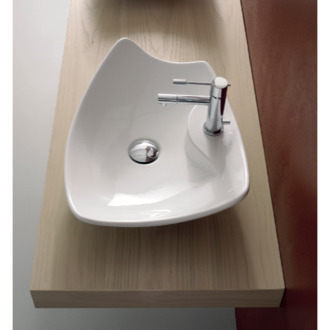 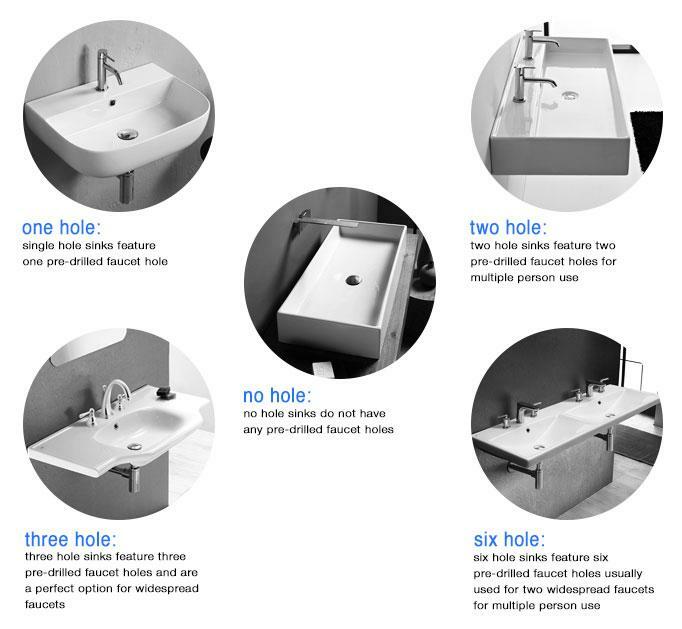 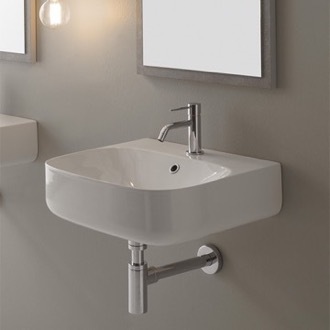 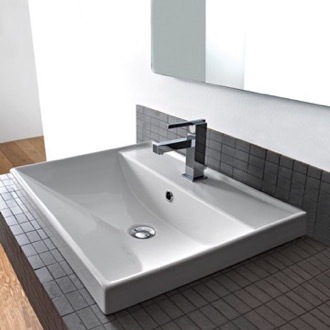 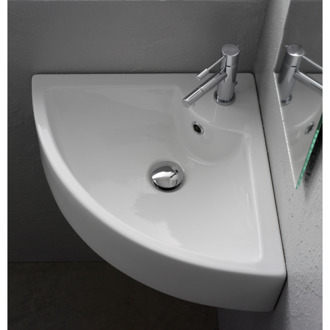 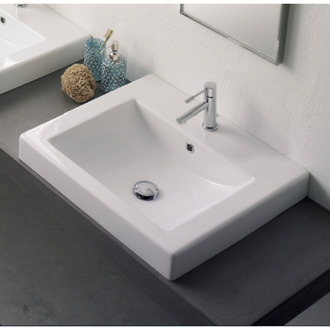 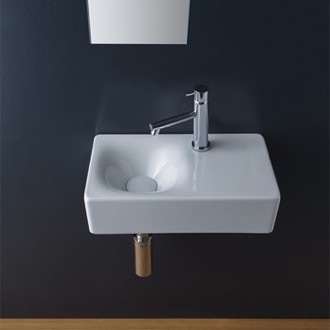 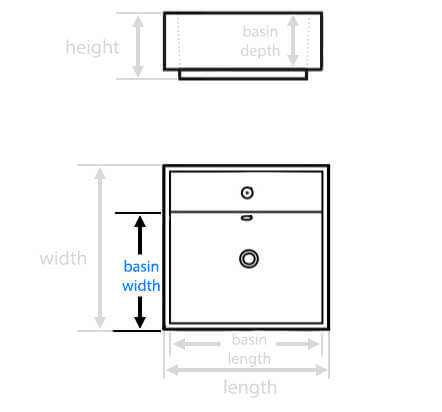 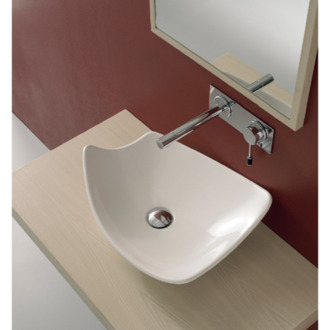 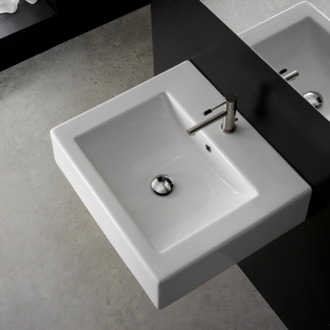 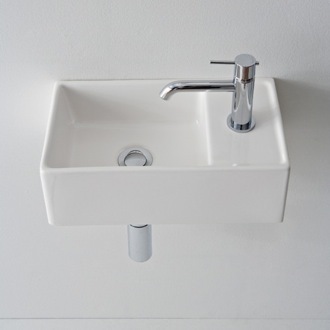 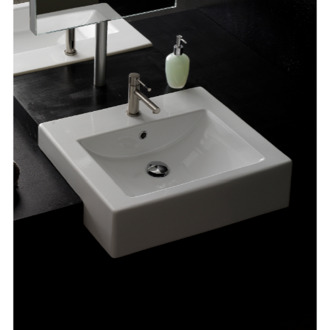 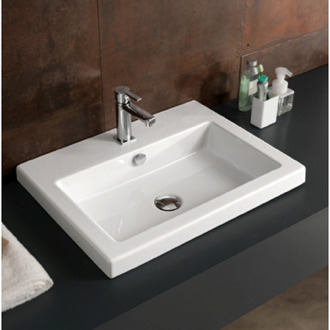 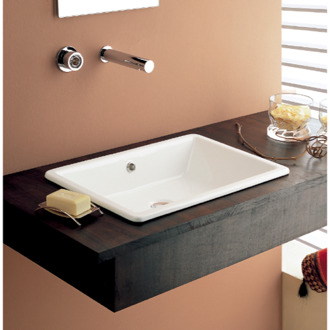 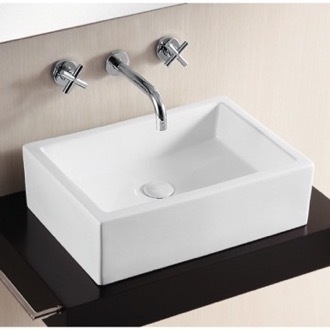 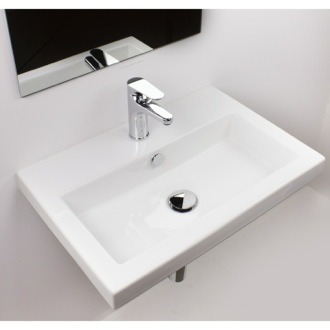 You can buy square sinks in virtually any style, including vessel, drop in, semi recessed, and undermount sinks. 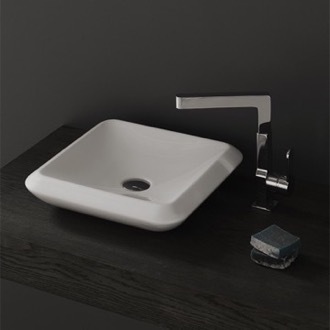 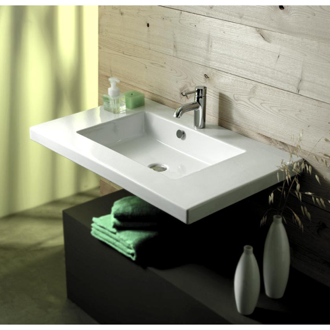 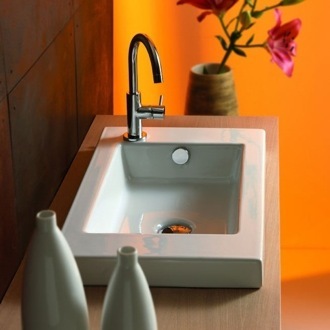 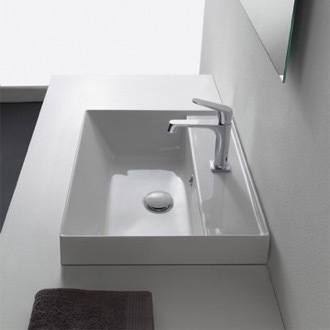 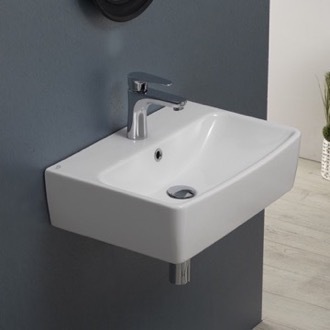 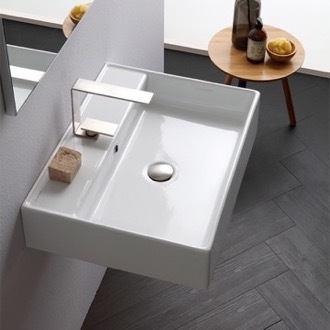 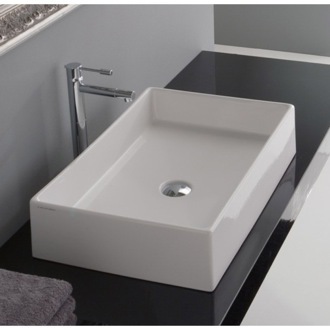 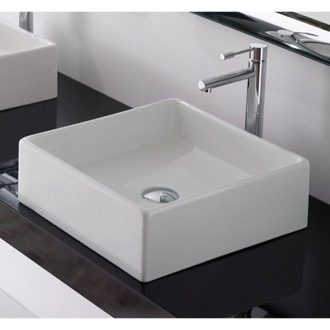 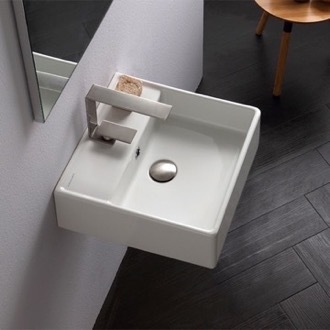 Square sinks are a newer design innovation, providing a modern, fresh look. 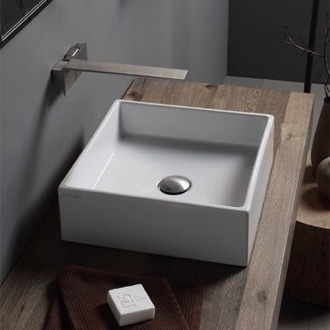 Ideally, your square bathroom sink should have a slight angle toward the sink drain to help prevent splashes and to draw water down. 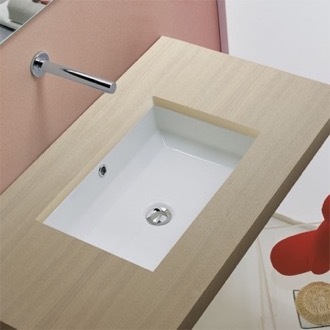 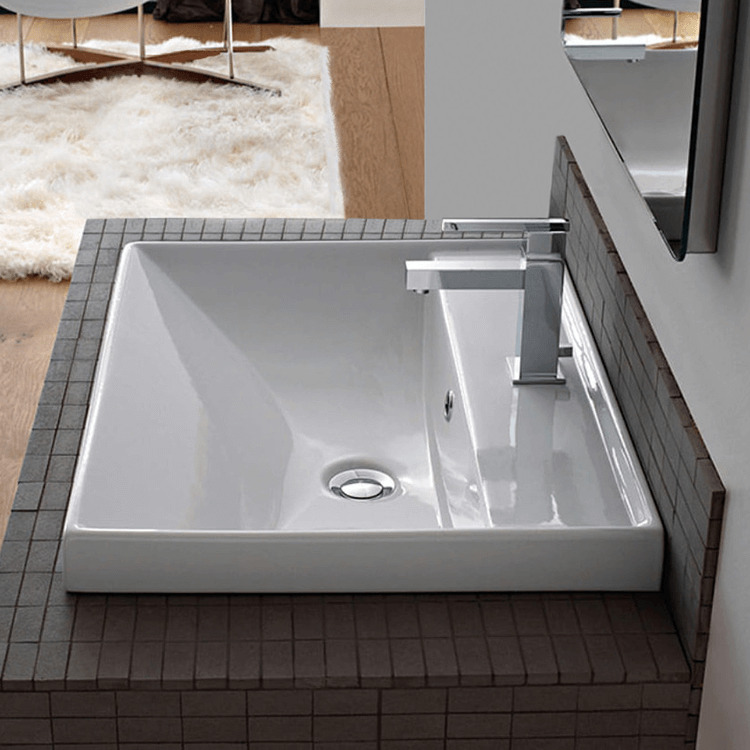 More shopping tips Square bathroom sinks are popping up more and more in residential bathrooms. 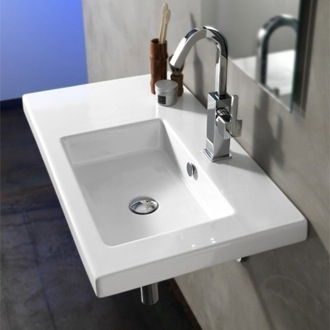 Switching out a more traditional round sink for a square sink is one of the quickest ways to upgrade and modernize a bathroom. 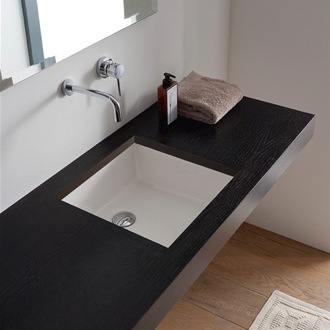 If you currently have a round or oval sink, you may not be able to replace it with a square sink without purchasing a new vanity top but the added expense is worth it when you consider what you'll gain. 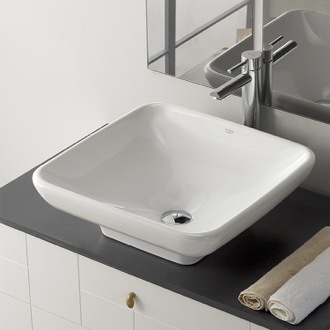 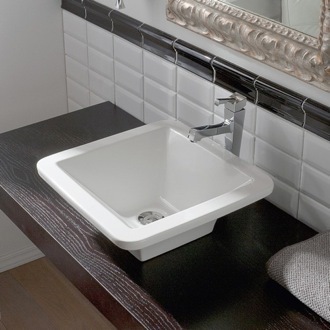 First, a square sink can give you the look and feel of an entirely new bathroom with minimal effort. 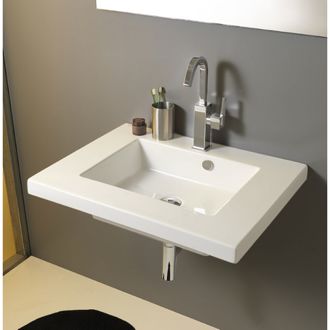 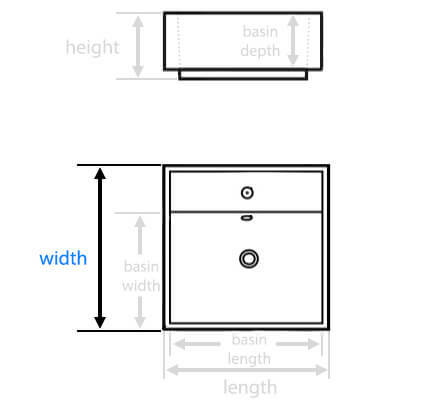 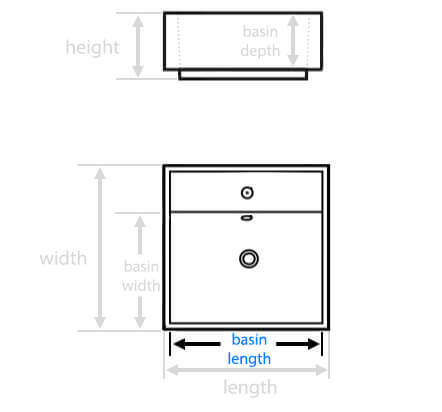 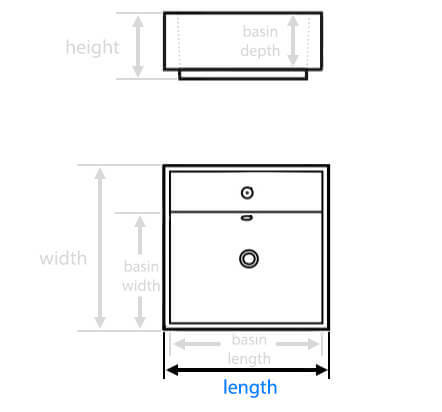 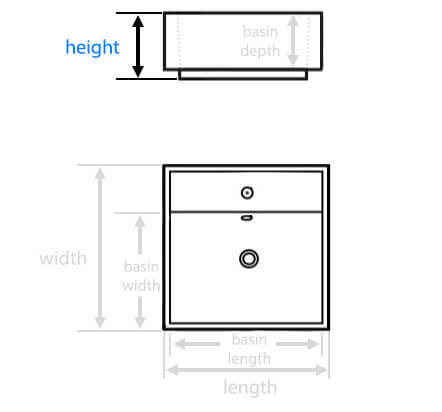 You'll also gain more counterspace, which can be ideal if your bathroom is low on storage. 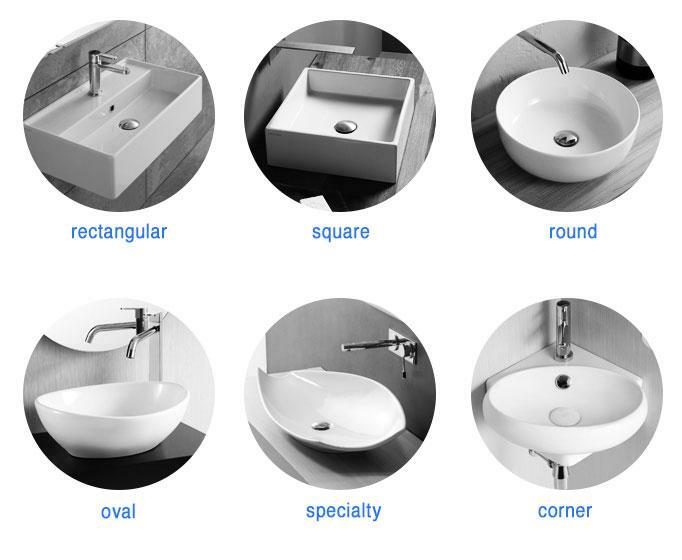 Take your time looking at square sinks. 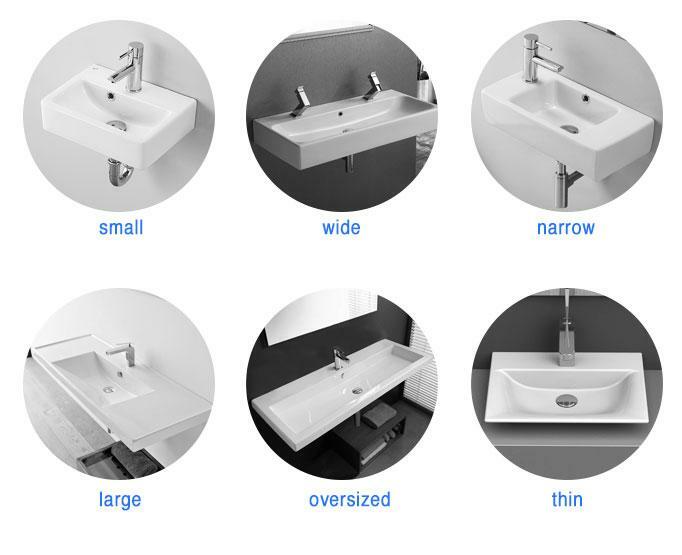 There are plenty of options to choose from, all made with high-quality materials for longevity.